Voodoo Lab Pedal Power 2+ And 4x4 Standard Replacement Cable Pack. 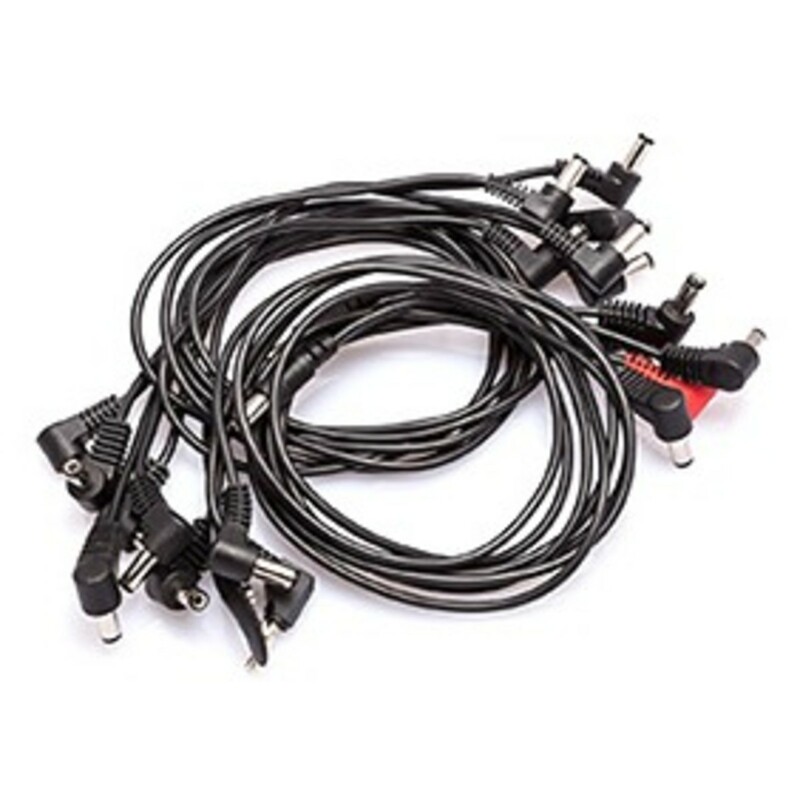 This pack of 11 cables features common connectors that are designed for use with the Pedal Power 2+ and Pedal Power 4x4. It includes six cables with 2.1mm right angle barrel center negative plugs that are 18 inches (Product Code: PPBAR-R), two cables with 2.1mm straight and right angle barrel center negative plugs at a length of 24 inches (Product Code: PPBAR-RS24), One cable with a 2.1mm right angle barrel plug and a 2.5mm right angle barrel center positive plug at a length of 18 inches (Product Code: PPL6-R), one cable with a 3.5mm right angle mini tip positive plug with a 2.1mm right angle barrel plug at a length of 18 inches (Product Code: PPMIN-R) and one cable with a battery snap and a 2.1mm right angle barrel center negative plug, also with a length of 18 inches (Product Code PPBAT-R). This handy replacement pack is ideal for powering your Pedal Power 2+ and 4x4 if your cables have been lost or damaged, for a reasonable price.